Arizona Game and Fish Department (AZGFD) offers general and archery-only elk tags they call “over-the-counter nonpermit-tags”. Only a government agency could come up with a permit called a non-permit. These tags are very limited and are only offered for specific locations on all or portions of 14 units where elk are not wanted. Figure 1 shows hunt units where the Over-the-Counter (OTC) Nonpermit-tag hunts occur. The actual hunt areas are the portions shown in white. Figure 1. Elk Over-the-Counter Nonpermit-tag hunt areas are shown in white. Why would the Arizona Game and Fish Department want to limit the numbers of elk? 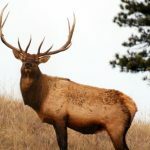 The first and most legitimate reason is because elk are expanding into areas that were traditionally mule deer areas, such as the elk moving in from Utah into the Kaibab Plateau. The elk are expanding and doing well, but the mule deer are not. Removing or preventing the elk populations from increasing will prevent any potential competition for scarce resources between the two species. Secondly, when elk move on to private land, they eat grass and drink water that ranchers intend for cows, sheep or horses. Ranchers lose money, so AZGFD created “Limited Population Management Zones” (5% of elk habitat in Arizona) to keep the numbers of elk low in these areas. Note that I sympathize with ranchers when elk conflict with cattle on private land, but not so on public land. I’ve even heard ranchers complain about deer drinking water on public land. In addition to conflict with ranchers, elk can also pose serious road hazards in suburban areas. Also note, throughout our history, any time there has been a conflict between wildlife and the economy, the economy wins. So, to prevent elk populations from increasing in these areas, there are limited opportunities to hunt elk with OTC tags. 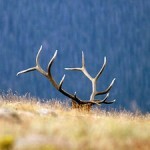 The numbers of elk are expected to be very low in these areas and hunter success should also be very low. Population estimates in some of these areas may be as low as a dozen elk. But if you lived near one of these areas or know someone that does, these might make for some interesting hunts. FYI, similar non-permit tags also are available in Arizona for javelina/peccary. Some of these seasons offer nearly year round hunts with very long seasons and the unique opportunity to hunt bull elk between April 1 – July 31. I feel like I have to hustle to keep meat from spoiling when it 50° outside. I can’t imagine shooting an elk in Arizona in July at low elevation. 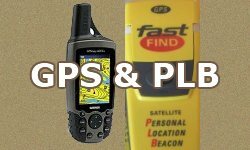 It can be done because all of the April – July 31 hunts are very close to roads, but you will still need access to plenty of ice and all the other logistics will have to be well planned ahead of time. So, if you have any interest in helping AZGFD limit elk populations in these management zones, all you need is a valid hunting license and an elk OTC nonpermit-tag ($37 + $135 = $172 for residents and $160 + $650 = $810 for non-residents). The non-permit tag is good for all areas, all season and for all any legal weapon or archery hunts. The 2018-over-the-counter nonpermit-tag handout says that seasons and hunt areas may change in the future to “address problem areas”. The table below summarizes the hunt areas in 2013 (subject to change every year), units, weapons, specific elk to be hunted and the hunt seasons. Note: Non-permit Elk tags are no longer issued in the Kiabab units (12A & 12B). I would be very interested in hearing from anyone that has hunted elk in Arizona with an over-the-counter Elk nonpermit-tag. I have a cousin that lives in Tucson and that’s not too far from units 28, 31 & 32. Is the 2013 hunt units the same every year, I see it every time I look here? No Ernie, just my mistake. I have been waiting for the AZGFD to update for the 2017 season. The Kiabab area (units 12A & 12B) are no longer included and have been removed from the Table. The information in the Table has been updated for 2017. Harvested a cow there a few years ago. A bull a couple of years later. There are so few elk you could name them based off their tracks. But they are there. I say two elk harvested is not bad at all. But a place probably best for the locals that know what’s going on. Excellent Steve and thank You for Your service. What’s a good unit I can hunt for elk if I have a Otc tag? There are basically no good OTC units in Arizona. All of these units are in areas where Arizona Fish & Game does not want elk. These tags are available, but unless you know the area, have permission to hunt private land and know when elk move into these areas, you will be at a disadvantage. See Nick and Steve’s Comments. Steve harvested a cow elk in unit 3A (35 miles South of Holbrook) in October, 2016. 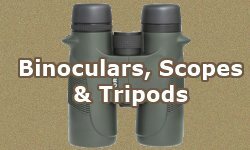 Not surprised you can’t find it, (click here for 2018 OTC non-permit tags)though the AZFG website now clearly labels “Non-Permit Tags (Over the Counter)” under “Additional Hunting Information” on the main hunting page. I updated the link to show the 2018 OTC elk information handout. Hunting for info on state agency websites is harder than actually hunting elk. 19A and 6A in the Verde Valley area could be promising but you’d have to do some serious scouting and know where you are. It’s higher elevation in 6A lots of National Forest land. My Mom retired up in that area so I spent some time on the forestry roads just exploring the lower lying areas, lots of cattle roaming around as well. I may give it a shot, but for that kind of dough on an out of state tag, I’d want to at least have solid game plan. If you already have a hunting licence? Do you only have to pay the $114? To add to my comment from a while back, both of mine harvested were in 6A. The first cow I took was surrounded by 1 calf and 3 other cows. That was 2012, I think. The Bull was two years later, and the only elk I had seen all year. I have not seen one single elk since. But I have seen them in “no shoot” areas nearby. I’ll see sign every once in a while, a single really old track, or dried up droppings, but I’m there every free day or three that I get. My trail cams don’t show them, I’ve put about 150 miles of back country time in and haven’t seen one. I go now just because after 6 years of waiting to be drawn, at least I still get to try to harvest an elk. What other way can you hunt elk close to year round? Although go prepared. I harvested that cow and it was 98* outside, have a plan. It really makes sense that these tags are for locals that can check on what’s going on. Nick you know you can hunt elk in Utah or Colorado with OTC tags while you wait to draw that limited entry tag in Arizona. If the Arizona Game and Fish Department want the elk harvested in the low density areas with a limited success rate they should probably think about reducing the cost of the OTC tags! Agreed , they should lower the cost of OTC tags. Just recently bought my OTC tag and went for the weekend to hunt 6A. Didn’t see a single thing. Going to try again next week. I have been scouting in both 6a and 4a/4b. Only thing I saw in 6a is deer(bucks and does) and 4a/4b are antelope. Any clue where the elk are? My guess is as good as yours , haven’t seen anything as of yet. I am thinking of heading back to 6 am tomorrow (Tues) and give it another shot. My tag is good until the 31st. So I want to get out there as much as possible. If anyone was heading out for elk and would want to team up , I would be game for that. Let me know. As soon as Cliff responds, I will remove your email from the comment. Well first off, I take the tag fee as is and don’t think it should be lowered because of success rate. Azgfd states a low success rate, you’re paying to play, not an assured 400 bull. Also those fees go to a good cause for all of us. Second, I wouldn’t give up any spots I know about in a low success zone. And weekend hunting isn’t going to cut it unless you’re lucky. I’ve been hunting 6a for close to a decade now. I’ve put hundreds and hundreds of miles off trail. You have to get off the easy access. So often I see people glassing from the MAIN trails, come on now. That’s just being lazy. But the point of the tag for these zones is to minimize if not eliminate the elk in the area. So in the last decade or so I have seen it go from herds of about a dozen to tracking a single elk for miles and miles. Have fun, it’s still nice to get out. But 6a is no longer the open secret it once was. It’s flooded with hunters and poachers now. I came across a couple of guys there recently. When asked what they were hunting (as they were outside the otc area and out of season of anything else), they responded openly with “whatever we see first”….. I’m here every week, and am debating hunting outside of the state now. As I have about a decade of bonus points since my last hunt and a few years since I bagged my last otc. I have never got a tag over the counter until now. Any help I can get to get a elk in the Winslow-Holbrook area would be greatly appreciated just want to put some meat on the table. Where do you go to purchase these OTC tags? These are low elk density areas and Arizona Game wants to keep it that way. 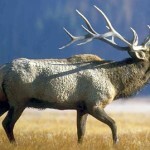 Elk permits are issued in limited areas mainly to prevent elk from interfering with livestock and ranching operations. These tags can best be used by folks that have local knowledge of the area and have permission to hunt on private property. 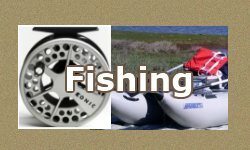 You can buy these tags anywhere you can buy a hunting or fishing license. I think your info about crossbows has an error. 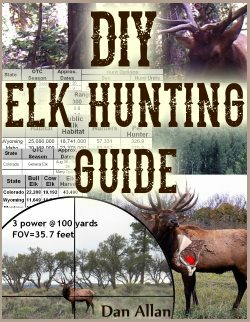 This site states a 25 lb crossbow is needed for elk. I dont know if that is actually manufactured. Thats a very light draw weight. Thanks Rob, don’t know if that is my typo or AZGFD typo, but I should have caught it. Then the regs repeat the same rule for each of the following species: Bear, Big Horn Sheep, buffalo, deer, elk, javelina, mountain lion and turkey. 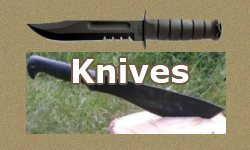 It is also legal to hunt small game (rabbits and tree squirrels), upland game birds and migratory game birds with a crossbow, but does not specify minimum draw weight, bolt length or broadhead width. Alan,i know the spot to hunt an elk, seen them 30 miles south from Winslow. Don’t have a tag for that area through. I can provide you info. Hunting the elk in the area of jacob lake, spotted them. So yes they are there in Unit 12A OTC tags. Went 7-10 days at a time in Oct, Nov, and Dec (sometimes hunting, sometimes scouting), and each time, each day, I ran across 12 vehicles (some with 2-3 hunters inside) hunting the area. Then the last week of December I saw 14 trucks of hunters (literally) and 9 hunters glassing different hilltops. I have even returned to my truck to find people camped near my truck glassing where I was. There are elk there, and I could post pictures of the ones I’ve tracked down, etc. But they are few and far between now, and the area has so much intense pressure increasing over the last three years or so, that it’s starting to run me out of the area. When I started there, I would run into maybe one person hunting in a whole week. The open secret is now a wide open secret. Bear in mind this is the Verde Valley hunt area I refer to.